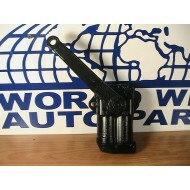 This is an example of our remanufactured rear lever shock for a Triumph TR3 an.. Triumph TR3 TR4 REAR Shock Absorber Rebuilt Better than New. Exchange price shown. You'll be billed for core deposit separately. See detailed description.